Do centre-backs have the edge on their defensive colleagues in Official Fantasy Bundesliga? The Expert: Do full-backs or centre-backs provide better value? 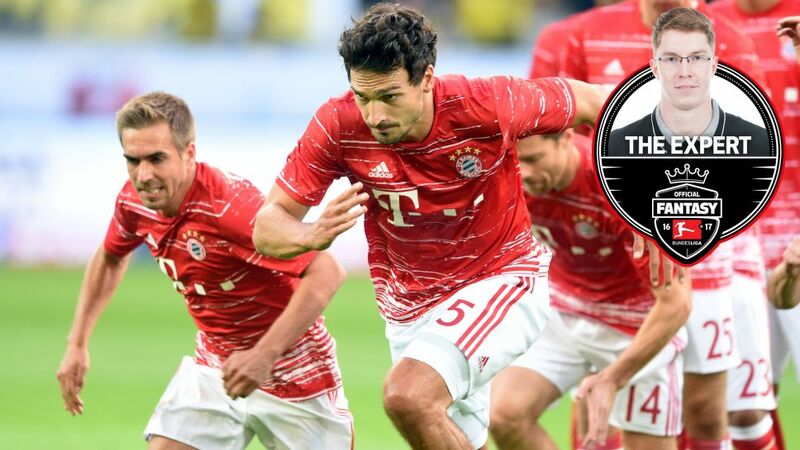 With the Official Fantasy Bundesliga season really hitting top gear after the international break, Matt 'The Expert' Howarth has carefully examined the balance sheets at the back to reveal whether you should plump for full-backs or centre-backs in your defensive line-up. Head here to pick your Official Fantasy Bundesliga team. About Matt: Official Fantasy Bundesliga Expert Matt has always been a bit of a numbers geek. As a kid he had a giant poster of Sesame Street’s The Count above his bed, while his current ringtone is Hip To Be Square by Huey Lewis and the News. Our resident number cruncher will provide you with key facts and stats throughout the season. At first glance, it would appear that the Bundesliga’s full-backs have made the better start to the campaign. Five of the six highest-scoring defenders in the game played at either right- or left-back on Matchdays 1 and 2: Philipp Lahm leads the way on 25 points, followed closely by Marvin Plattenhardt and Ricardo Rodriguez on 21 points each. Frederik Sörensen and Konstantinos Stafylidis, meanwhile, join FC Bayern München star Mats Hummels on 20 points. On that basis, I will make sure I have at least three centre-backs - preferably ones with decent goalscoring records - in my starting XI on Matchday 3. But, after Sunday’s faux pas, please heed my advice with a pinch of salt! Want to make changes to your side? Let Matt explain how transfers work. Watch: How to play Official Fantasy Bundesliga.